No matter if it is fixed to the wall or standing free on its foot somewhere in the room: the circular, active W-LAN / Bluetooth loudspeaker Libratone Loop stands out visually. It also stands our acoustically, when it is fed from any signal source with music. You would not believe such a strong, full sound image from the rather compact speaker with a 4-inch bass driver in bass reflex order and two 1-inch tweeter midrange. This is the result of the driver structure in the round casing. Music can come from W-LAN (DLNA, Airplay) or via Bluetooth 4.0; thanks to NFC, the configuration for cooperation with a smart phone is child’s play. 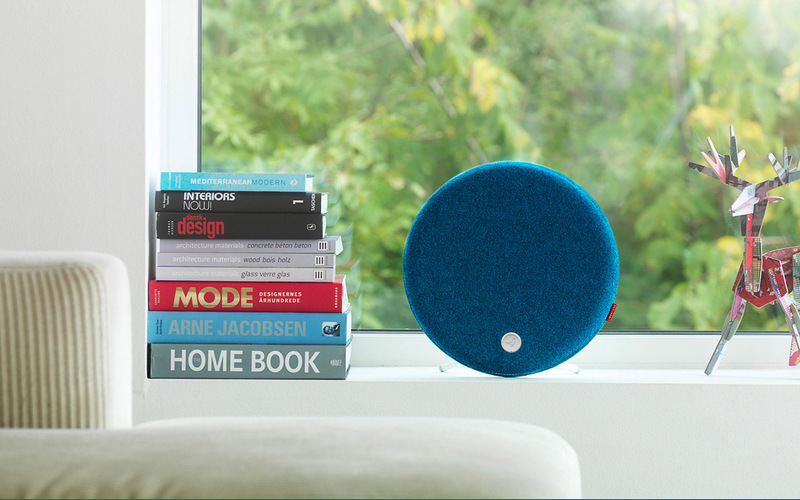 The Libratone Loop can be set and controlled from the smart phone with its own free app.